How to Hire the Right Divorce Lawyer? 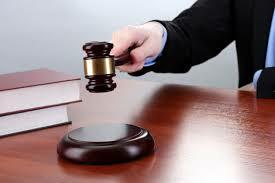 It is no less than a challenge to find the right divorce lawyer. You need to ask the right questions and take specific steps in order to determine which attorney is best for you and for the case. A wrong lawyer will not only ruin your case but also you will end up in losing a great amount of money and time. Divorce is an emotional time and it can be highly stressful and intimidating. There is no other area of law which needs as much paperwork, filing out the forms and other documents. This is not a layman’s cup of tea especially when he or she is emotionally broken. Therefore, it becomes really important that you hire a divorce lawyer and choose one wisely. Each and every lawyer may not be right for you. You have to make sure that your mindset of handling your case matches with that of your lawyer. Therefore, you should take proper interview and know more about your lawyer. Initially, you might have to bear a good amount of cost and undergo stress but eventually it will all pay off. However, before you decide to interview the lawyer, you will have to find them and there are few ways to do so. In today’s time, people rely on the internet. Be it a lawyer or anything else they first hit the search engine. You might not have to even interview that person because there are strong chances that you will find complete information on the internet. You can also ask your friends and family who has ever taken help of a divorce lawyer. Once the interview is scheduled, next step is to contact the lawyer’s office and fix an appointment. You will learn a lot about your lawyer through this. However, whether you contact through phone or email, just make sure you tell them that you need to discuss regarding divorce case. Now, you will have to see how quickly you get the reply. If you do not get the answer within 24 hours then it is a reality check for you. You are the new client, new case, new money and even if now you are not be taken seriously then once your lawyer will be paid, he or she might not even look at you. If you are lucky to find your perfect lawyer and visit the lawyer’s office for your first consultation then make sure whatever you see or hear at that place, you will get the same. Is the office spick and span? How is the staff of the office treating you? If you are not well taken care of at your first visit then chances are that further, it will only get worse. Once you have considered all the factors, i.e. interview, office work, and staff behavior it will be definitely easy for you to evaluate your lawyer. If you are in Australia and would like to evaluate the office of New Way Lawyers then you are always welcome! Divorce lawyers Gold Coast will not disappoint you. They are legal professionals with so many years of experience and will be glad to help you out.